This SF700 is possibly the best condition Super Flighter I’ve seen to date, with minimal scratching with the pickup covers, no chips in the paintwork, only minor scratching on to the edges of the body, and no damage to the back of the neck. The bridge pickup was unoriginal when I bought it, but the original pickup was supplied and later reinstalled so it is now all original again. 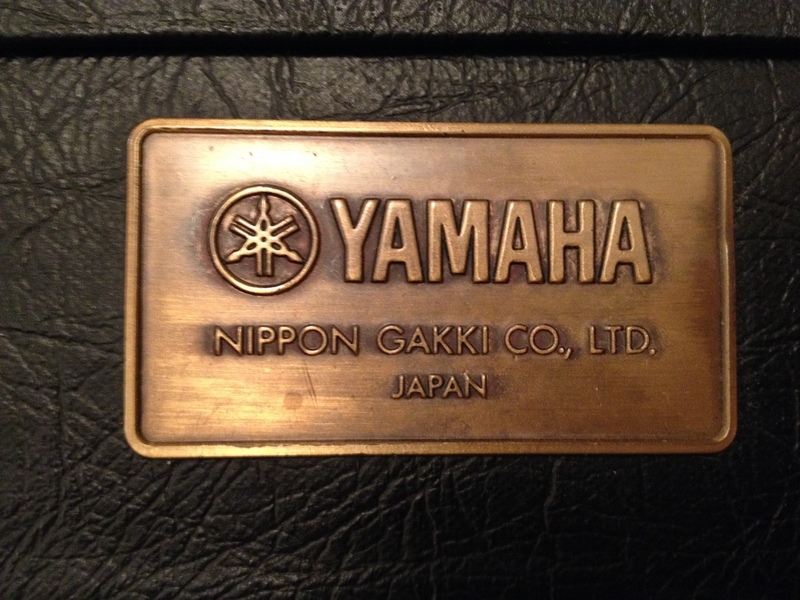 Supplied with its own Yamaha hard case. The interesting thing about this one, is the unique manufacturing defect you may have noticed on the headstock. The decal reads “Super Flight”, not “Super Flighter”. This initially threw me off, and very nearly stopped me buying in the first place. On further inspection, everything checks out as genuine. The font and tracking (height of the text, you’ll notice that “Flighter” is higher than “Super” on all the decals) is identical to the others, the serial number follows the same format, the pickups have the correct stamps on the rear, and the wiring is identical to the other models as well. There is absolutely no evidence to support claims that this a fake. I’m more than happy to discuss this at length with any prospective buyers as a collector myself.